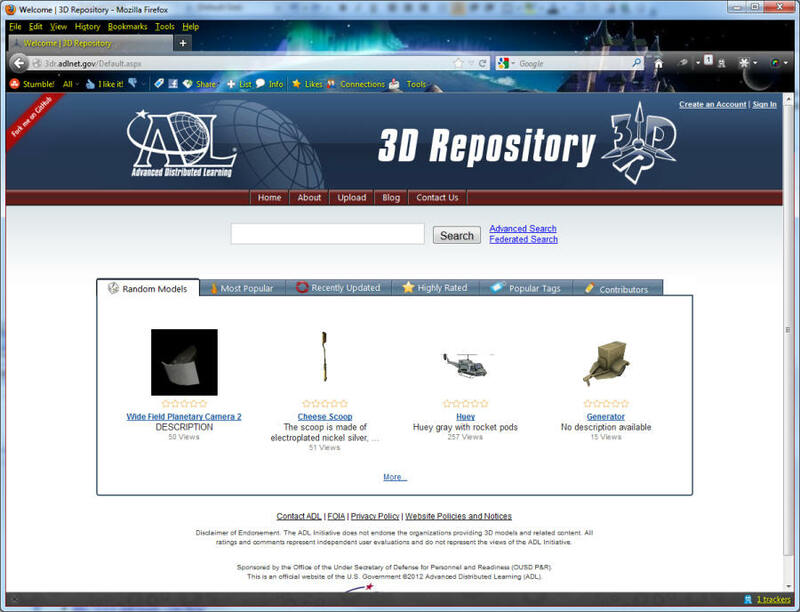 This is a list of web sites with thousands of free to use 3-D CAD models. 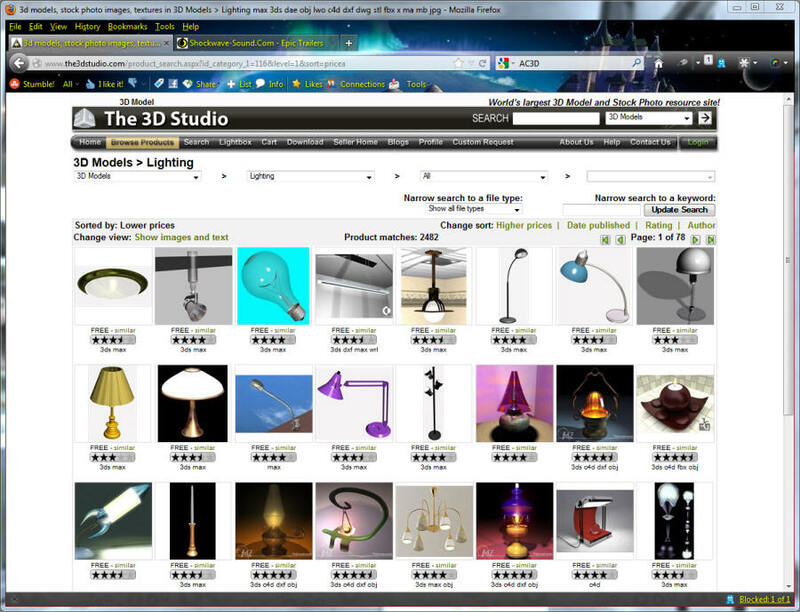 Most 3-D model web sites do not allow the resale ( even for free) of their models. The usual restrictions typically state that you can upload them to Second Life or Open Sim, but you can never transfer the model to anyone else. This means you can use them in a build or game as long as that game or build is never sold or transferred. You are allowed to take pictures of the models, or film machinma in most cases. Creative Commons licensed models are allowed to be be transferred in all cases. In some cases, they must be transferrable to anyone, even if you modify them. Creative Commons "BY" Means you must attribute the original author in your ads, web sites, and/or in a note card with your product. Creative Commons "SA" means your work and any derivatives must be offered to others for free. Means that the software is free to use for almost any purpose. Your modifications and additions must also be given away freely. May never be transferred to another person. Licenses of this type are useful only for machinima and photography. Sometimes they may be used in a game or a build as long as it is never transferred. Important Note: My definitiona above will vary in some ways from these web sites. 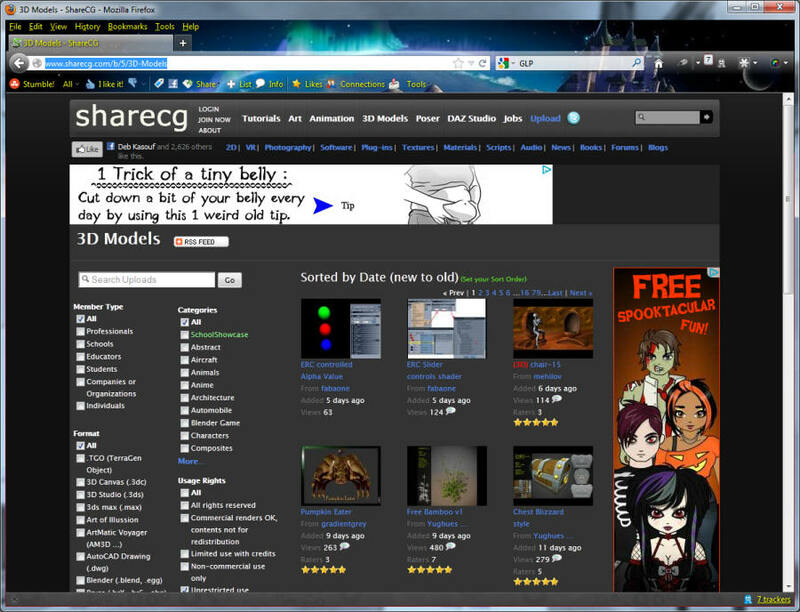 Some of these web sites have other products mixed in, with licenses that prohibit using them in Second Life and Open Sim grids. Please carefully read their licenses and follow them closely. 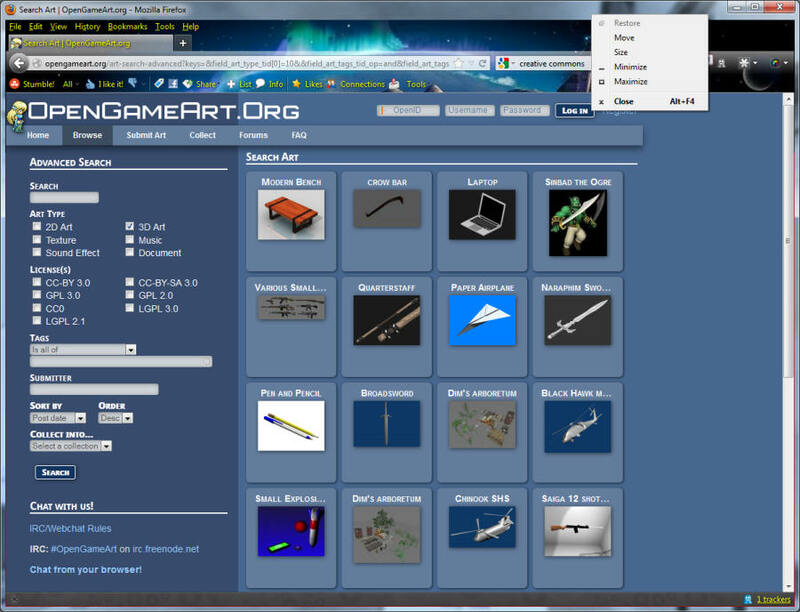 The best free program to convert these files to Second Life or OpenSim Collada format is Blender. CAD Models from a military perspective. Lots of planes and tanks and vehicles. 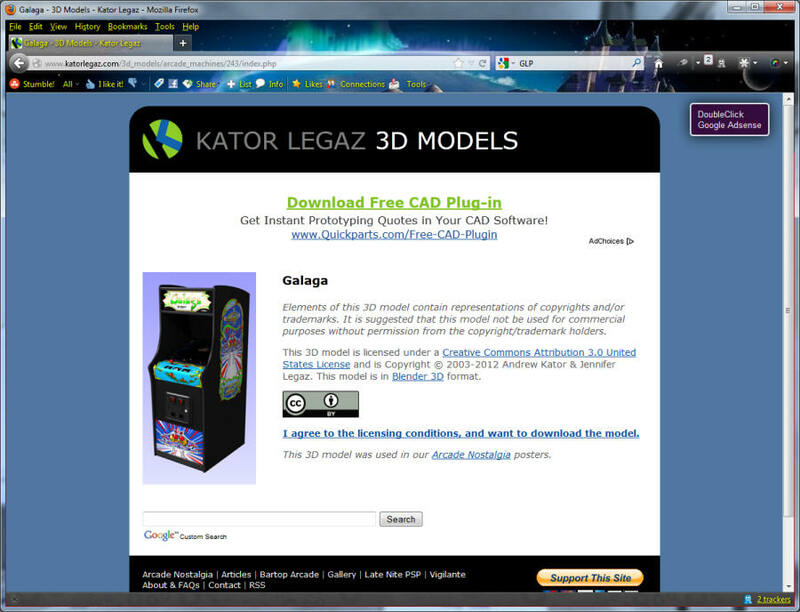 Requires a free registration to download models. Models are licensed as Creative Commons CC-BY or CC-BY-SA, and may be transferred and in many cases, sold as part of a build. 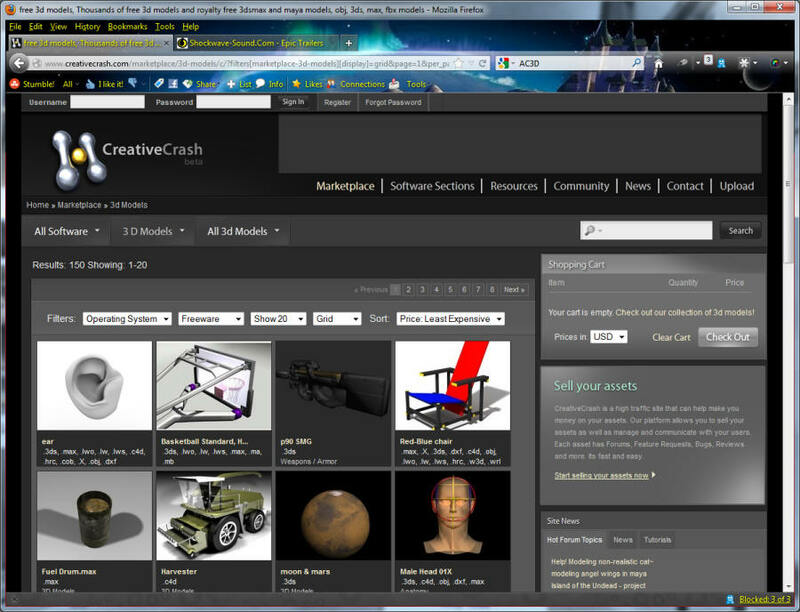 800+ Creative Commons and GPL 3-D models. You can search by license, too. 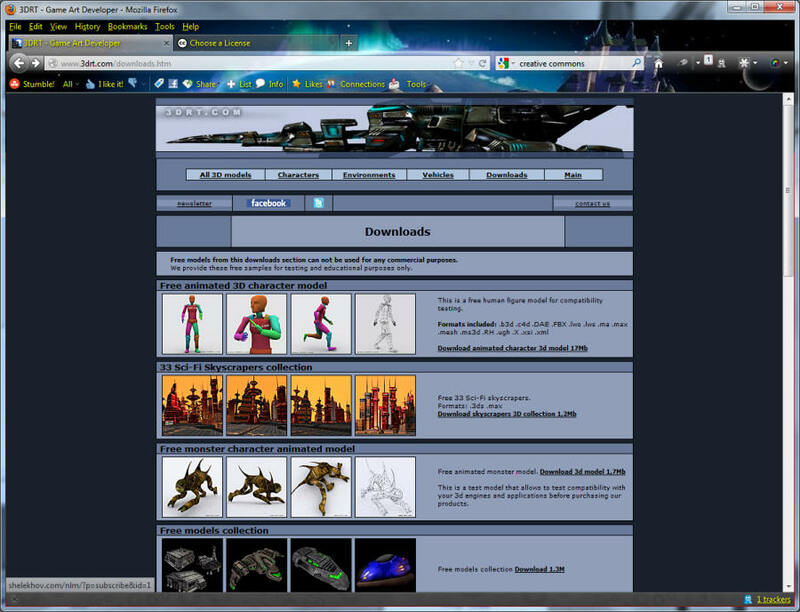 2100+ Unrestricted 3-D models, plus many more non commercial and for personal use. Can search by license. Sites marked with may never be transferred to another person. Licenses of this type are useful only for machinima and photography. Sometimes they may be used in a game or a build as long as it is never transferred .